Box of 1000 mailing sacks Size: 250 x 350 mm plus flap. 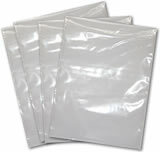 Pack of 1000 mailing sacks Size: 350 x 525 mm plus flap. Pack of 1000 mailing sacks Size: 425 x 600 mm plus flap.